What gases compose our atmosphere? 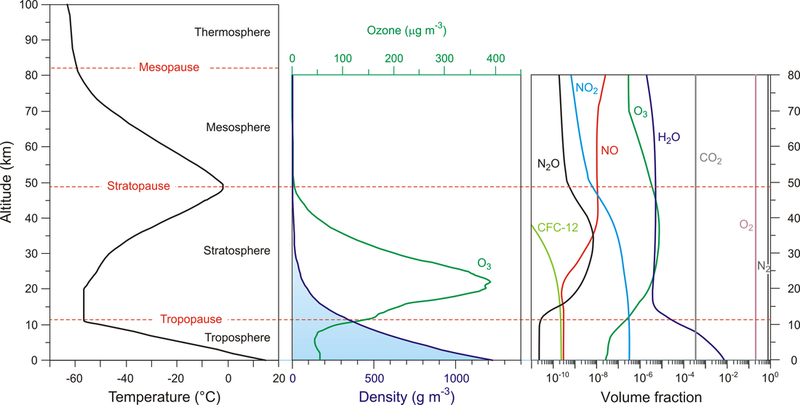 Has the atmospheric composition always been the same? The atmosphere is the layer of gaeses that surrounds the Earth. It protects life on Earth by creating pressure allowing for liquid water to exist on the Earth's surface, absorbing UV Sun rays, maintaining the Earth warm by retaining the heat from our Sun (green house effect) and preventing temperature extremes between day and night. The Earth’s atmosphere is mainly composed of nitrogen (78%), oxygen (21%) and argon (1%). It also contains trace amounts of carbon dioxide, and other gases. At lower altitudes it also contains water vapour..